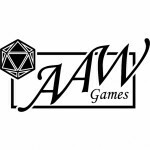 We're having the biggest sale we've ever run with 75% off hundreds of titles on Adventureaweek.com! This includes D&D 5th Edition, Pathfinder RPG, Starfinder, Savage Worlds, Fantasy Grounds, Mini-Dungeons, Map Packs, and more! This sale runs from Black Friday through Cyber Monday so check it out before these special deals are gone. Happy Gaming and Happy Holidays my friends!